I recently had the honor of interviewing my longtime friend, photographer Katherine Carver. Read on to learn about her love of dogs, passion for travel, and current creative project photographing shelter dogs. Prepare to be inspired! 1. What/who are your influences? My major influence in my work is my curiosity, my dogs, and my need and desire to work through and communicate my ideas visually. Photographers I admire are: Diane Arbus; Sally Mann; Francesca Woodman. 2. Explain your process as a photographer. I am drawn to creating images with wonderful lighting that simultaneously go beyond the literal. My goal is to create layered and didactic images. I want to leave viewers with a new way of looking at dogs in their natural world. If I am not working on my photography, I feel uncomfortable. I am always thinking about my work. I am enjoying the journey, trying to stay present in each moment, and I will see where things lead. I do believe that I will always be examining our human relationship with animals. 3. Tell us about your current project. 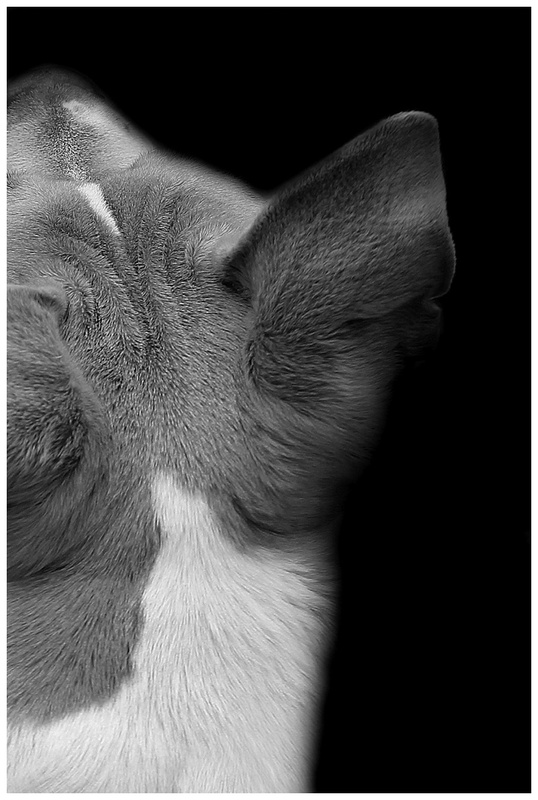 I have been working on a long-term photography project with dogs as the subject matter and focus of this project for the past two years, and I am still working on this project. Biscuit, our first dog who was a rescue, is the inspiration for this work. 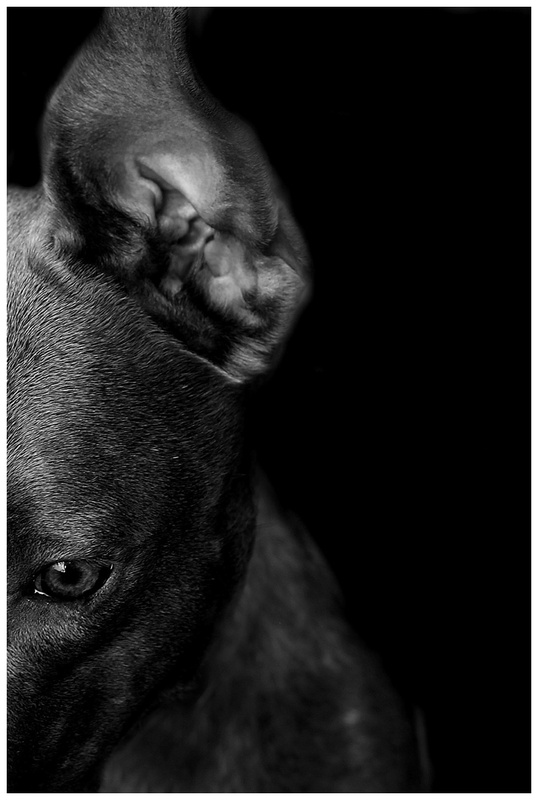 The goal of this body of work, once it is completed, is to raise awareness — to connect the dogs to circumstances where humans fail to act in a responsible manner and to further study the relationship between dog and human. 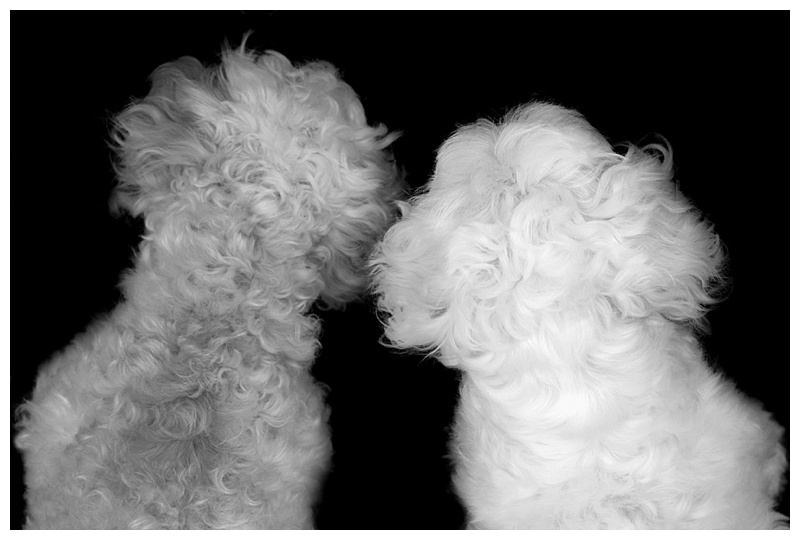 I want to leave the viewer with a new way of perceiving dogs and our relationship with dogs. This body of work is still evolving as I am currently in the midst of this project. I am hopeful once this project is completed, it will lead to an exhibition and to publishing a book. 4. Have you always been a dog lover? How did this come about? Tell us about your dogs. 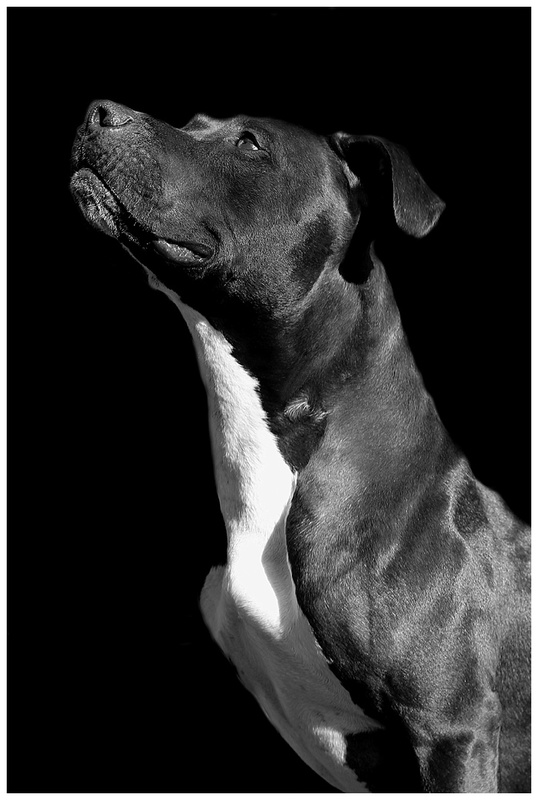 How did dogs, especially shelter dogs, come to be the focus of your photography? Dogs have not always been a part of my life. In fact, I did not grow up with any animals. It was not until my husband and I adopted a Shetland sheepdog named Biscuit, our first dog who was a rescue, that our entire view of dogs shifted. Biscuit changed our lives for the better and we are ardent supporters of dog rescue. Biscuit opened up a part of us that is difficult to articulate in words. 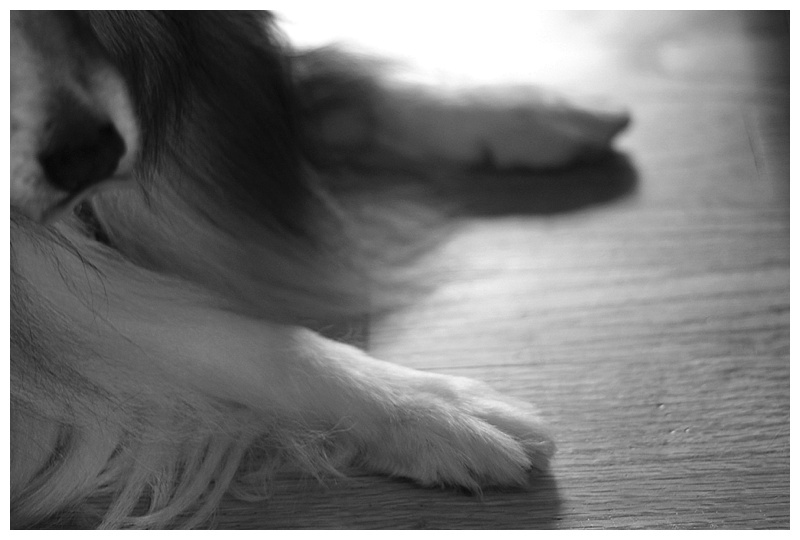 He added an entirely new facet to our lives, and we cannot imagine our lives without a little rescue Sheltie family member. 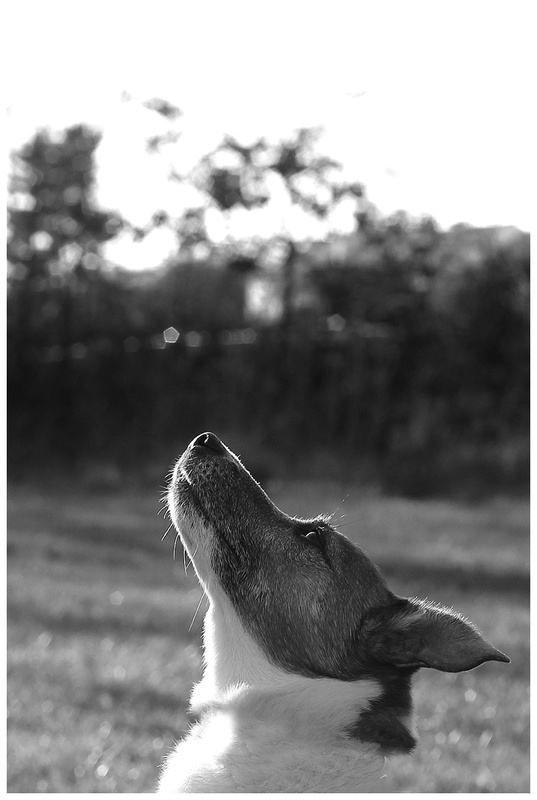 Photography has always been a part of my life, but after adopting Biscuit, I became fascinated with dogs. Biscuit awakened a desire for me to carry my camera everywhere — creating images that preserve fleeting moments that chronicled Biscuit’s story forever. Biscuit was the inspiration for my great curiosity and study of dogs in my work. Biscuit created an entryway into another world, an ‘animal world,’ which I had never experienced. It changed my life forever in many ways that I did not anticipate. He taught me, for example, to be more present, aware, and patient. He also taught me to have more gratitude for the small things in life. I believe animals have a way of teaching us all about ourselves if we are willing to open our hearts and invest fully in the experience. Sadly, Biscuit passed away last summer. Our time together was short, but filled with enough memories to last a lifetime. Last fall, we adopted another rescue sheltie named Victory in Biscuit’s honor. Even though at the time we lost our Biscuit, we thought it was unimaginable to love another dog as much as we loved Biscuit; however, Victory, a rescue sheltie, came into our lives and she has stolen our hearts and we love her so much and she is just as much an integral part of our lives as our Biscuit. We believe that Biscuit sent her to us. Victory has been a perfect fit and she brings us so much joy and she has really grown in so many ways physically and emotionally since we adopted her. I am a firm believer in dog rescue. There are so many dogs who need a second chance. Biscuit’s (and Victory’s) story is living proof of this sentiment. When we first met Biscuit he was simultaneously the most handsome and the saddest dog we had ever seen. He was wondering the streets of North Carolina, abandoned and severely malnourished, and covered in urine with a virtually nonexistent fur coat. He was timid, shy, and riddled with anxiety when we first brought him home. Through dog rescue, Biscuit was given an opportunity to blossom and flourish. 5. You and your husband like to travel. What are some of your favorite destinations? Describe your ideal vacation. How does travel inspire your work? My husband and I have been fortunate to be able to travel together. However, my husband, prior to us meeting, was much more of a world traveler than me! We have traveled abroad together to France, Monaco, and Israel. The rest of our travels have been by car as we included Biscuit and continue to include Victory on our trips together. They are family, and they have been part of any trip we have taken together! They make our vacations better and we have many fond memories while on vacation. We have made several trips to Nova Scotia; we have been to Quebec most recently this past summer; and we have traveled domestically as well. For me, my ideal vacation is similar to some of the vacations we have taken — renting a house on the water for several weeks, taking each day as it comes, with lots of time to rest, time to ponder, time to read, and time to relax. This past summer we traveled to Quebec and it was very nice to have some down time and spend quality time with my husband and Victory! It was the first time I did not do any work during vacation. I came back refreshed and rejuvenated with some new ideas for my project. I think that rest and a change of scenery is really important for anyone. For me, it helps get the creative juices flowing! 6. Describe your artistic approach to photography. I am not sure if I have an artistic approach per se with my work. I am drawn to issues that I am very curious about, and I want to communicate visually through my images. I think that it is vital to have intellect behind your work to support the message you are trying to communicate visually through the images. 7. What advice can you offer other artists? Follow your curiosity and keep going and pushing forward no matter what. Maintain a consistent daily art practice and don’t be afraid to question, to take risks, and to push your boundaries with your work. I think it is also helpful to find a few people who you trust to provide feedback on your work while you are working through a body of work. Don’t be afraid to make mistakes. The process of making art is uncertain and uncomfortable at times; and this is why perseverance is key and I believe that the Universe will support you in kind. You can view her work at http://www.katherinecarver.com/; her blog at http://www.biscuitsspace.com/; and follow along on Instagram @katherine_carver. Interview with Author Tim Loge and Giveaway! Back when I was in 3rd Grade, our local newspaper, The Toledo Blade, held a coloring contest. The winners received free tickets to see a marionette show. As luck would have it, I won; I remember my Mom and I thoroughly enjoying the show. Well, for months afterward I had written and performed marionette shows for all of the neighborhood kids. We set up benches in my garage and from the attic a couple of us dangled down homemade marionettes onto a makeshift stage. Of course I needed help, so everyone in the audience usually participated in some way or another, maybe as an usher or a second act puppeteer. Boy, did we have a lot of fun! Back then we thought our shows were spectacular, but I remember the marionettes weren’t. They were a stringy mess of painted cardboard. Honestly though, I think that was when I was bitten by the story bug. As for writing proper stories, that had to wait ‘til I started working on my Agricultural Degree at the University of Guelph in Ontario, Canada. How I found time to study and write I don’t know because I was in class 38 hours every week. That meant I had to spend at least that much time doing homework. Writing stories was a joy while earning my Creative Writing degree from the University of Victoria in British Columbia, Canada. What made you want to become a children’s author? Her characters are friends you miss after you finish reading the series. It almost feels like you have lost some close friends. Now, that’s magic I wish to create! You self-published your book. Why did you decide to take this route and would you ever consider traditional publishing? Unless you’re a celebrity or a darling to someone in the publishing industry, you will never be a shoe-in to get published. In fact, finding someone to seriously look at your work can be very hard. Most of the time it’s college students surfing the slush piles of manuscripts that publishers receive. College students? Yep. So, does that mean anything original and unfamiliar will probably be ignored? Maybe. I’ve heard, and have grown to believe, that attending a writing conference is a good way to get proper exposure for you and your story, and I plan on attending more of those myself. I self-published Freebooter’s Paradise as an eBook first. eBooks are exciting creatures right now. I uploaded my novel to Barnes & Noble, Amazon, Apple, and Smashwords on September 5th, which just happens to be Jessie James’ birthday. How cool is that: being that Jessie James was sort of a pirate in his day? The problem with eBooks for me was that kids knew what eReaders were, but a lot of them didn’t have access to them. So, it looked like I needed to print my novel to get my story out. The way I went about printing it was by creating a project on the crowd sourcing company called Kickstarter. The project is still on their website. Go check it out. Self-publishing is very trendy these days. Can you tell us a little bit about the process? Did you hire your own editor? Find your own cover artist? Handle the layout and design? In what ways have you promoted your book? Like I mentioned earlier, I visit stores and schools. Both are fun adventures, but the school visits are the most fun. I usually sell more books there too. I also meet really awesome librarians and reviewers like you, Angie. I’m so happy you enjoyed Freebooter’s Paradise! Now let’s talk about the story itself. How did you come up with the idea? Were you always interested in pirates? Did you do a lot of research on the topic? Yes, I love pirates! But, let’s start here: I’m also a big fan of Rick Riordan’s novel The Lightning Thief. I loved the fact that reluctant readers enjoyed its quick pace and ton of adventures. So, I decided to write a story in that same style. When I started Freebooter’s Paradise there were only a couple of middle grade novels which took place in the Superstition Mountains or The Lost Dutchman’s Gold Mine. Nothing modern anyway, and no one had considered flying pirates to Arizona, let alone Captain Blackbeard, who has been dead for centuries! Yes, I did research, but after all, it’s a made-up story. I stayed true to what I needed to, and then, I did what authors do best—I made up the rest. Haha! Some people say my family is related to Captain Kidd 😉 Who is your favorite pirate and why? You chose an interesting setting for your pirates—the desert. What made you choose Arizona as the location for this story? I read on your blog that you hiked in Northern Spain. Tell us about that experience. I’ve hiked The Way of Saint James three times now. That’s an ancient Christian pilgrimage. One can actually start anywhere in Europe and walk their way to The Cathedral of Santiago de Compostela. Usually most folks start in Southern France and hike across the Pyrenees, through Pamplona, Burgos, and Leon all the way to the Cathedral where the bones of Saint James the Greater are buried. If you do that, you’ll have hiked 500 miles. I never thought I could do such a thing, but what strength I’ve gained from it for my body, mind, and heart. And really, isn’t everything in life about the heart? I made friends from all over the world. Would I do it a fourth time? You bet! You’re also a librarian. How has that helped or influenced your writing? I’m a Children’s Librarian, so I probably read too much middle grade fiction! They’re at least fun stories, and most of the time enlightening, unlike other genres. Maybe I have a leg up in writing because middle graders tell me what they like or don’t like about stories. They share titles they enjoy with me all of the time. From that, I try to build good, fun stories. It’s a challenge, but it has been a fun adventure for me. What’s up next? What are you working on now? A sequel perhaps? Yes, definitely! I’m working now on book two of the Dangerous Tandem Adventures. I’m also working on a teen and an adult novel. I have lots in the works actually. I’d be thrilled to have you, Angie, be an advance reader for book two! What do you think? Thank you again, for taking a chance on reading Freebooter’s Paradise. Cheers! ***To celebrate, I’m giving away a signed copy of this book! For a chance to win, leave a comment on this post either about the interview or the blog or both. Also include your name and email so I can contact you, if you win 🙂 You must reside in the U.S. to be eligible. I’m pleased to announce that my work has been featured in the Michigan SCBWI newsletter for this month. When The Mitten asked me to be the November cover artist, I graciously accepted. What an honor! Several of my children’s illustrations appear throughout as well as an interview about my work as an author/illustrator. A special thanks to the editors for putting it together. You can check it out here. It was interesting being on the other end of the interview process. Usually I’m the one asking the questions 😉 But I think it’s important to market yourself. I attended a workshop recently that reminded authors and illustrators that they must think of themselves as a brand. That way when people see your work they always know immediately who you are. They may even purchase it specifically for this reason. Of course we always want to strive for excellent work in its own right. But it helps if you can also put your stamp on it. In the grander scheme, it’s about self-acceptance. Deciding to be all in. Putting yourself out there. This is what I have to offer. This is who I am. How will you choose to put yourself out there? I had the honor of interviewing author/illustrator Denise Fleming. I became familiar with her work long before I became a children’s librarian. We share the same hometown, Toledo, OH. The children’s section of the Sanger Branch library features her characters. Literally, it’s like walking into one of her books. Then, in December of 2012, I had the opportunity to meet her in person at a book event. She shared her unique process of pulp painting. Check out her latest books, including underGROUND, on her website. To find out about her upcoming projects, read on! AK: What do you like best about Toledo? DF: People often ask why I still live in Toledo, my birthplace. They seem to find it strange that I still am here. Well, first off, it is very affordable. Then there is the fact that my family is here–my tiny family of a sister, brother-in-law, husband, and daughter. Ann Arbor is only 45 minutes away and it’s a great city to ramble around and see art–there is a wonderful paper store and many great restaurants with interesting cuisine. I also love the fact that we have seasons–although, a great winter of snow seems to be a thing of the past. We have a cottage at a spring-fed lake that is only an hour and ten minutes away, so, when I want a change of scenery I can drive there any time of day. My husband and I like to arrive late at night and go right to sleep. When we wake up, we may take a ride on the pontoon boat, visit the farm market, or work in the clay studio behind the cottage. It is a good life. My adult self is not much different from my child self. AK: Animals in nature seems to be a recurring theme in your books. What is your favorite critter and why? DF: I have always felt more comfortable in nature than around people. We have planted our 3/4 acre yard to be a habitat for wild creatures, so we have lots of squirrels, possums, owls, butterflies, raccoons, garter snakes, rabbits, birds, a box turtle or two and, every now and then, deer. There used to be many more creatures–fox, pheasant–but development has cut down on open space. People are surprised when they enter our yard, which is pretty secluded from neighbors with plantings and is so different from surrounding yards. Delivery people always say it is like being on vacation. Our cottage is also pretty wild as far as vegetation goes, and there are lots of creatures there–wood ducks, mallards, Canada geese, muskrats, turtles, sandhill cranes, herons, and lots more. As for a favorite animal–love them all–even when they create problems for me. I think we need to respect wildlife. AK: How did you discover pulp painting? How did you know this was your style? DF: I took an adult continuing ed class with my sister at the high school down the street. We thought taking this class might offset February cabin fever, which is a problem in the midwest. The class description said we would be making handmade paper notecards etc. The colored paper pulp was in huge galvanized tubs. It was like a gigantic palette. Wow! Forget notecards, I wanted to make pulp paintings!! I then went on to take more paper making classes at Arrowmont School of Arts and Crafts in Gatlinburg Tenn., where I poured the first pieces for Count! Pulp painting was a fit–no question. It was physical, it was process, it really worked for me. Recently I have added collage to the pulp paintings, and I am working on a book where I pour just the backgrounds and collage the foreground. I also have experimented with other media–not paper making. Didn’t work. Felt uneasy. Not me. AK: Describe a typical work day. Do you have any rituals for getting started? What must you have by your side? DF: There is no usual workday–it varies enormously. I may draw, design, write, think, redo, edit, whatever. I have no starting time. Summer/spring is my best work time, as the days are long, and I am much more productive. I do have music on when I work. That also varies with my mood–maybe Ella, Louie or James Taylor, Nora Jones, etc. As the day progresses, I change music styles. Mealtimes are random. Breaks are here and there. I may decide to go to the cottage to work on manuscripts as chores are not as numerous there and it is very quiet. I need a huge glass of ice water or iced tea beside me when I start working. When I am really concentrating, I breathe through my mouth and my throat becomes very dry. AK: You said that you love strong action words that convey movement and sound. What is one of your favorites? DF: Oh gosh, I love words like crunch, slip, slide, swoop, shuffle, I could go on and on. If it was another day I would offer different words. AK: What inspires you or helps you shake off writer’s block? DF: Reading, sitting in the porch swing, running errands, talking to an art friend on the phone, visiting with my daughter, and snacking. AK: I see in a photo on your website that you have an idea board. Can you tell us about that? DF: I post anything that catches my fancy on several big cork boards. Right now there are some great magazine photos of hens, wild colored flowers, children, trucks, baby armadillos, lists of words, articles about reading, baby teeth, cool tiny houses, quick sketches, dancing figures–really all sorts of things to start me thinking. They may never be in a book but may spark an idea that starts an idea chain. Often what I start with is not in the finished book. I also work in different media–clay, cloth, recycled tin cans–the things that I create in those media inform my book work. AK: Which character in literature do you most identify with? And which one would you secretly hope to be? DF: Pippi, of course. I now have red hair, a drawer full of striped socks, I’m not too crazy about authority, and would like to live on a houseboat. I do braid my hair sometimes. I must reread the books. Pippi— here I come! AK: What advice would you give to an aspiring writer/illustrator? DF: Ah, this is a toughy. For me it was focusing on learning what I truly loved. Not following someone else’s lead. Doing only what felt right to me. When I first started, I illustrated mass market books, which was a fabulous learning experience. It not only taught me about gutter, page design, and pagination, it made me realize that what I wanted to do was write and illustrate in the trade book field. Prior to this, I was a freelance artist mostly picking up advertising work. I had never taken any book design classes, etc. I learned by studying books I liked and figuring out why I liked them. As for titles, I know you are going to ask–no specifics. I studied hundreds and hundreds of books. I tried all sorts of media. I accidentally found pulp painting, and it all clicked. I had several manuscripts that I was working on writing. Count! and In the Tall, Tall Grass were what came of combining the words and the pulp paintings. And of course I can’t leave out Laura Godwin at Holt. She was my fairy godmother. She got it from the get go–it was a match. Give a shout out to Laura–my bantering buddy and editor. So, advice. Go for it! Try all avenues. Join SCBWI. Take classes. Realize everything you do is not precious. And not everyone will like what you do. Work!!!! AK: Tell us what you’re working on now or a project you finished that you’re particularly excited about. DF: I am working on several book dummies right now. Experimenting and trying some new things–some of which have been massive failures–“What was I thinking?” ideas. Remember, not everything you do is precious. I am ready to make finishes on a book titled Go, Shapes, Go! A lot of what I do falls under concept books. I do few regular stories. Although, I have some that I soon will be showing around. I am afraid I have been pigeonholed as only writing/illustrating concept books by my supporters. Publishers are cool with me doing stories, but fans, not so much. Teachers and librarians use my books a lot and concept fits with what they do. Pooh, I say! Not really–I love doing concept books. I had the pleasure of interviewing author/illustrator Julia Maisen. I became familiar with her work after seeing an article she wrote, “Art Education on the Cheap,” in the March/April 2013 issue of the SCBWI Bulletin. Check out her work here. AK: What inspired you to become an artist? JM: I think that I have always wanted to be an artist, or at least I can’t remember a time when I didn’t want to be an artist. I suppose I was just one of the lucky ones who never grew out of the desire to create. AK: You mentioned in your article that you never went to art school. Are you self-taught or did you take classes independently? What artists and/or styles were you especially drawn to in your studies? JM: It’s funny; when you talk about being self-taught it can mean a lot of different things. For me I’ve taken maybe 2 art classes at a university as well as a workshop or two. Most of my instruction comes from books, DVDs and observation. I also make up a lot of exercises for myself based on things I’ve read and suggestions from other artists. I love the golden age illustrators, especially N.C. Wyeth. Sargent is another favorite artist as is Holly Hobbie, Adam Rex, Chris Van Allsburg and too many others to count. AK: Where is the most interesting place you’ve gone to sketch? What did you draw there? JM: I once went sketching at the zoo, which was a lot of fun. I also sketched a lot while on a family trip to France a couple of years ago. But mostly I don’t go anywhere in particular to sketch, since for the most part I’m trying to get an image in my head down on paper. AK: You seem to prefer watercolors. Why do you like this medium? What do you find most challenging? JM: I’ve always loved watercolors, in part because they are a great mix of careful planning and happy accidents. As for the most challenging thing about watercolor I think it’s establishing your darks while at the same time preserving your whites. It can be hard to build up darks in watercolors since the paint is so translucent. AK: What is your favorite technique and why? JM: I like working wet-into-wet and creating blooms with the water. 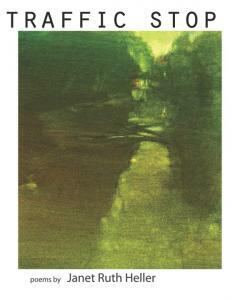 It’s a neat effect that can suggest interesting textures and add interest to a painting. AK: I read that you are also a writer. Which came first for you, writing or art? JM: I’ve always done both, though I think that it took me longer to realize that I could write my own stories just like I could create my own pictures. AK: Do you write and illustrate your own picture books? What is that process like for you? JM: I do write and illustrate my own stories, though I haven’t had any of them published yet. Mostly the story starts with an image of an idea and I go from there. In the beginning I’m jumping back and forth a lot between words and pictures until I nail down what the story is about. After that it’s pretty straightforward, with me first writing a final version of the text and then creating the pictures. AK: What makes you want to write and illustrate for children? JM: It’s partly because the stories in my head just naturally seem to go there and partly because I think stories for kids have a lot of heart and humor in them, which I like. AK: What advice can you offer to an artist who wishes to pursue a career in art/illustration without getting a formal art degree? JM: If you are not going to get a degree, then you have to be committed to pursuing your art every day. You need to be driven to both get better and to put your art out into the world. AK: Do you think it is better to be an expert or a beginner when it comes to making art? JM: I think you need both to be successful. You need to be a beginner in the sense that you need to be willing to try new things and new techniques. A beginner is more likely to leap without looking and trusting that in the end everything will turn out right. But you also need the skills and experience that an expert brings to the table. An expert knows a thousand and one ways to direct the reader’s eye and communicate an emotion. That’s a necessary skill to have. Hope comes for children and books in unexpected places…. Back in December, I had the opportunity to attend a book event featuring Denise Fleming, the distinguished picture book author and illustrator from my hometown in Toledo, OH. Learning the art of pulp painting was reason enough to drive down from Troy, MI, but another surprise awaited me when I arrived. I knew the event would be held at someone’s home in Sylvania, OH, but I didn’t realize this person’s home would also be a bookstore. When I arrived, I met Marcia Kaplan, who was not only a very welcoming host but also the owner of this in-home bookstore called Whale of a Tale. I marveled at how someone could open up their home for such an event. Bookshelves full of children’s books and topped with special displays lined the walls. I wondered how someone could put together such a professional display for one evening. Imagine my surprise to learn that I was standing in an actual bookstore inside someone’s home. With the state of independent bookstores and books in general, I was eager to talk to Marcia about her unique venture. As you know, I’ve worked as a children’s librarian, so I’m always a champion of connecting books to children. As I’ve mentioned before, I’m working on a middle grade novel about bullying. When I learned Marcia was also involved in supporting Ohio’s anti-bullying policy in schools, I knew I had to interview her for my blog. AK: What is your career background? Have you always sold books? I also read that you worked for Reading Railroad before starting your own business. Is that a bookstore? Describe that experience and how it shaped your interest in books. MK: My career background was a B.S. in Dietetics. But I had small children at home and a wonderful little bookshop opened in our area. We practically lived there the first year they were opened. The owner had hired a really cranky salesperson and I asked if I could work part-time. She didn’t want to make the same mistake again, so I was temporarily hired to work for a couple of weeks while she sent friends in to see how I worked out. Well I went from part-time to full-time to manager. For twenty-five blissful years, I worked at the Reading Railroad: A Children’s Bookshop. AK: What made you decide to start your own bookstore from your home? MK: The owner [of Reading Railroad], a very talented artist, decided she wanted to devote her time to her art. She sold the store and then I helped run it for a year for the new owners. Unfortunately, I wasn’t what she wanted and I found I was in need of employment. Living in a small town, there weren’t very many book options open to me. One of my book representatives said I could probably just do this from home. So Whale of a Tale was born. AK: What unique challenges do you face? What has been the biggest reward? MK: I don’t know if you realize what it entails to have a children’s bookstore. You read all the time, not during working hours, but nights, weekends, during lunch, etc. Then you sort through a lot of books to get to the good ones. That means dealing with a lot of publishers. Unfortunately, I lost a child when she was seventeen. A lot of people started coming and asking me what books to give to a child that has lost a friend, parent or grandparent. Trying to find the right book in that situation is a challenge, but there are a number that are thoughtfully written. AK: What do you think is the future of the independent bookstore and bookstores in general? MK: I still don’t know what will happen to independent bookstores. As long as parents promote reading in their homes and monitor what their children are reading I think independents will survive. It is becoming an electronic age, but being able to hold a book in your hands is priceless. We need books to stimulate children’s minds. [Children need to be able to] sit on a parent’s lap and share a story. Those things are so important. You can’t get that from an app. AK: You mentioned working with schools. How did you connect with Sylvania schools and in what way do you serve them? MK: I have worked with a number of schools. I do book-talks for teachers, parents and classrooms. I help find books that match the curriculum that is being taught. Teachers don’t have time to search for that one topic. That is where I come in. AK: You created a newsletter that serves as a resource for books about bullying. Who is it for and why did you create it? MK: When I created my bullying newsletter the state of Ohio had just required the teachers to implement [a unit on bullying] into the classroom. I thought it would be helpful for the teachers. There have been a number of books that have been written on the topic since my newsletter came out. AK: Which book from your list do you recommend or like most and why? MK: One of my favorite authors is Trudy Ludwig. Her book, My Secret Bully, really hits the mark. For younger kids, Stand Tall, Molly Lou Melon by Patty Lovell is wonderful. Kevin Henkes is also a great writer. But I like most of the books in the newsletter for one reason or another. They all deal with a different form of bullying; no one book will hit all the topics. AK: You mentioned that Ohio has a requirement to teach about bullying. Do you think this is an effective way for schools to deal with the bullying issue? What other ways can schools and the community in general get involved? MK: I have struggled with your question in light of the school shooting. I think the problems can’t be resolved solely at school. Parents have the responsibility to make sure their children are brought up with core values. You can’t expect a teacher to undo what their students are taught at home in just six hours a day. When we were kids, if a child did something wrong another parent would correct it if they saw the incident. Now parents aren’t around to even witness the incident or don’t want to get involved. AK: Are all of the books mentioned in your bullying newsletter available for purchase at your in-home bookstore? Does the discount still apply? Can people purchase from you if they live outside the Sylvania, OH area? MK: The books are available to order. I don’t always have them in stock, but can get them quickly. Teachers and librarians always get a 20 percent discount. First-time parents and grandparents also get a discount. I will mail any books anywhere. There is a cost for postage. I also accept purchase orders. 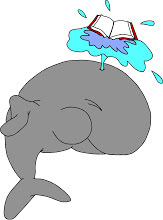 AK: Your newsletter focuses on bullying books for younger children. Upon request, you recommended a novel for older children called The Revealers. What is it about and for what ages is it targeted? Can it be purchased at your bookstore? MK: The Revealers by Doug Wilhelm was purchased by a school system in Indiana for all their middle school children to read. Having a good book to discuss can really make a difference. When a young boy starts being bullied and doesn’t know how to cope, he calls on another kid who has been bullied. A girl gets involved with them and they start an email campaign. Then other kids start saying it is happening to them, too. This makes the kids realize they are not alone. Another book I just love that isn’t included in the newsletter is Wonder by R. J. Palacio. Auggie was born with a facial deformity and he has been homeschooled up until fifth grade. But his parents want him to try going to a regular school. Three students are supposed to meet him before school starts and give him a tour. Auggie knows who is genuine and who is not. This book will make everyone rethink how we should treat those who are different from us. I am hoping this gets a Newbery Award. Then children would be assigned to read it and it might just make a difference. Hours are by appointment and the hours are very flexible to meet your needs. As you may know, I’ve been working on a MG fantasy novel about bullying. It’s always nice to find authors who share a similar interest. I came across a wonderful author, Janet Ruth Heller, who wrote a picture book about bullying. Her book, How the Moon Regained Her Shape, offers some great advice on overcoming bullying. I had the honor of interviewing her. Please visit her website for more information. AK: What inspired you to become a writer? JRH: I’m the oldest of five children, and my mother read me many good poems and stories while I was growing up. I began writing stories for my younger siblings when I was about eight years old. I was also fortunate to have a first grade teacher, Mrs. Mesias, who encouraged us students to write poems. She liked a poem that I wrote about flying a kite with my father, so she dittoed it for the whole class. I guess that was my first publication. When I was 14, I read about the poet Edna St. Vincent Millay in Russell Freedman’s book entitled Teenagers Who Made History. Millay’s biography inspired me to dream about becoming a serious writer. High school teachers like Barbara Gensler brought literature to life and nurtured my creative writing. AK: You mention several favorite authors on your website, one of which is Jerry Spinelli. He broached the topic of bullying in several of his novels. Which one of his books did you like best and why? Do you have any other favorite children’s authors? JRH: I have read Spinelli’s novels Crash and Wringer. I like both books because Spinelli encourages readers to question our society’s stereotypes about how boys and men should behave. He portrays young men who begin by accepting the stereotype that men should act tough, should confront and bully other people, should always compete with the men around them, should abuse women, and should not care about other people’s feelings. Gradually, Spinelli’s main characters learn to get in touch with their more sensitive and caring side. Their realization that men are much more complex than the stereotype is a very profound concept that will help readers to also challenge these stereotypes. I also love the novels by Judy Blume. She helps young people to understand that many youths share the same problems. I also like A Child’s Garden of Verses by Robert Louis Stevenson and the poems for children by Karla Kuskin and John Ciardi. All three writers stimulate children’s imagination. AK: Your picture book has a lyrical quality to it. How has poetry influenced your writing? 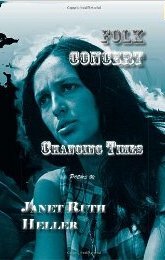 JRH: I have written hundreds of poems and published two books of poetry, Traffic Stop (Finishing Line Press, 2011) and Folk Concert: Changing Times (Anaphora Literary Press, 2012). My work as a poet has helped make my books more concise and more focused on images. I use specific details to communicate with readers, rather than hitting readers on their heads with obvious lessons. My book about bullying for children, How the Moon Regained Her Shape (Sylvan Dell, hardback 2006; paperback 2007; e-book, audio book, and Spanish edition 2008; third paperback edition and iPad app 2012), is written in prose poetry, which combines the prose format and poetic devices like meter and repetition of sounds. AK: In school, poetry is considered to be a critical unit of study, but yet many teachers aren’t sure the best way to approach it with their students. Do you have any thoughts on how to make poetry accessible to young people, especially in this day and age? JRH: It helps to point out to students that poetry is all around us. For example, the nursery rhymes that we learned as children are all poems, and the popular songs that we hear are all poems. I often ask students to bring in the lyrics of their favorite songs. Also, many people do not realize that poems have different goals: poems can tell a story, can describe a scene lyrically, can convey ideas and meditations, can portray characters talking with one another, etc. Students often react better to modern poems than to poems from 1600 or 1740. Contemporary poems may be easier for young people to understand because the English language has changed over time and because people living in 2012 face a different landscape than people living in 1600. It is also important to include poems by writers who are ethnically diverse. I often teach the work of modern writers like Marge Piercy, Maxine Kumin, Jim Daniels, Adrienne Rich, Emily Dickinson, Alberto Ríos, John Updike, Elinor Wylie, John Frederick Nims, Carl Sandburg, Langston Hughes, Gwendolyn Brooks, Edwin Arlington Robinson, Mong-Lan, Naomi Shihab Nye, and Kenneth Koch. AK: Your picture book is all about the moon’s journey, as one being bullied. She learns to regain confidence in herself through supportive influences, which I think is a great takeaway message about replacing negative messages with positive ones. There is no mention of the bully, in this case the sun, at the end of the story. After her journey, what do you think the moon would say to the sun if confronted once again? JRH: Bullies like the sun often tell people lies or distorted views of reality. At the beginning of my book How the Moon Regained Her Shape, the moon believes the sun’s insults that the moon is “ugly” and that “no one needs you.” However, the moon learns that the people and animals on earth do consider her very important and very beautiful. Also the people and animals do need the moon to help them to see their world at night and to inspire them. One of the messages of my book is that we should not believe what bullies say or let insults affect our self-esteem. If the moon encountered the sun again, I hope that the moon would say to the sun, “I’m not interested in hearing your insults. I’m going to play with my friends.” There are other methods to discourage bullies. My friend Jori Reijonen, who is a psychologist, teaches children to respond to name-calling by calmly stating, “Thank you very much. I didn’t know that.” This unexpected reaction gives bullies no positive reinforcement for their abuse. I have written a sequel to How the Moon Regained Her Shape which focuses on the sun. I’m looking for a publisher for this picture book manuscript. AK: You’ve given talks to school children about bullying. What is your advice to them? Do you offer any resources for children who have been bullied? JRH: I have done a lot of research about bullying, and this knowledge shapes my advice to children and adults. Bullying thrives in secrecy, so I advise children to tell friends, teachers, parents, neighbors, and other relevant adults about repeated bullying. It is not tattling to tell an adult that a bully or a gang is planning to attack someone. If one adult will not listen, children need to keep telling adults until someone assists them. Also, I emphasize that no matter how big, strong, or popular someone is, he or she does not have the right to hurt our bodies or our feelings. All kids need and deserve respect. I urge children to intervene when they see bullying occur because other kids may need them to stand up against a bully. Children may find a way to prevent bullies from hurting anyone, and a group of children may be able to stop harassment. I believe that bullied children can use basic training in self-defense. There are many classes for young people in karate, judo, and other martial arts. Such training can give children self-confidence and teach them how to block blows and frustrate attackers. Reading and discussing How the Moon Regained Her Shape can help families and classes to open up the topic, discuss the negative impact of bullying, and to explore ways to recover from abuse. I have a bibliography of 100 books and videos that schools and other organizations can use to discuss bullying with children of different ages. I also have written various essays to help families, schools, teams, and other groups to deal with bullies. I suggest that schools establish and publicize a strong anti-bullying policy to keep kids safe. Many schools also have a “Bully Box” to allow students to report harassment without signing their names. I often speak at conferences of teachers and librarians, and I visit schools to advise the students, staff, and faculty about how to handle bullying. AK: There is an obvious need to help kids overcome bullies. Do you have any ideas of how society can help the bullies change their behavior? How do you think society can reduce the number of bullies? JRH: The United States has a multicultural society. We need to teach children and adults to value diversity and differences, not to be frightened by or angry about ways that other people are not like us. At school, teachers should encourage children from different racial and ethnic groups to work together on projects. Also, teachers and other adults need to consistently discourage all forms of bullying. We need to teach children and adults not to bully others by pointing out that everyone’s body is different and that we all have different strengths and weaknesses. We can also disagree with one another without resorting to name-calling or fights. Our society needs to discuss questions like the following. Do we have a right to make remarks that may hurt other people’s feelings? How can we have friendly arguments? What is appropriate information to e-mail or post on a website? Many bullies need counseling to help them learn anger management and other social skills. I would like our society to provide more money to help both bullies and their traumatized targets to get assistance from psychologists and social workers. Without this intervention, some bullies will develop into criminals, and some targets of bullies will suffer from low self-esteem and post-traumatic stress disorder for the rest of their lives. AK: You mention having been bullied as a child. How did you deal with it back then? How would you deal with it now? How did your own experiences influence the writing of this book? JRH: I was bullied when I was a new student in afternoon kindergarten. Recess was an especially traumatic period because the other children refused to play with me, one boy pushed me down, and one girl insulted me every day by shouting, “You’re so skinny that I can see right through you!” After school, one boy would throw stones at me as I walked home. Slowly, the physical bullying subsided because I defended myself. But the name-calling continued for four years of elementary school. I was a shy girl, and I had no idea what to do about the insults. I did not tell anyone except my mother, and she responded, “Sticks and stones can break my bones, but names can never hurt me.” Even at age five, I found this proverb useless: I was deeply hurt on the inside, and my mother’s response showed me that adults did not care about my suffering. The name-calling and other forms of bullying lowered my self-esteem and caused me to distrust my peers. Fortunately, my family outgrew its small house and moved to a larger home after my brother Paul was born. Then I was in a different school district. The teachers at my new school intervened if they saw bullying, and they encouraged my classmates to include me in all activities. I was much happier, and I made many new friends. If I faced the name-calling situation now, I would tell my bully, “You say the same thing every day. It’s very boring. Do you have anything new to say?” Then I would walk away from her. If she persisted in bullying me, I would tell my friends, the teacher, my parents, and the recess supervisor. If they did not help me, I would tell the principal. 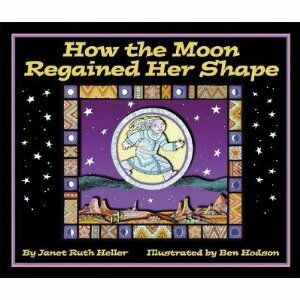 I wrote How the Moon Regained Her Shape to help other children so that they would not have to suffer for years as I had. My book shows children that if they tell friends and adults about their problem with bullying, these people will assist them. How the Moon Regained Her Shape also shows children that they do not have to believe the insults of bullies. Because the moon recovers from her traumatic experience, readers of my book learn that they can also regain their happiness and self-esteem after bullying. AK: You have an obvious interest in Native American mythology. What are a few of your favorite myths? JRH: The Navajos have legends about Ever-Changing Woman, who represents the earth and nature. According to the Navajos, Ever-Changing Woman created human beings and consistently helps them. The sun and the moon are important in many Zuni legends. Specific Navajo legends that I enjoy include Small Duck’s role in the creation of mountains and wily Coyote’s role in bringing fire to people. In general, I like the simple narrative style of Native American legends and the colorful characters. I also admire the culture’s view that the spheres of humans and animals are not separate but rather interpenetrated. AK: Writers are often encouraged to seek emotional truth in their writing. Would you tend to agree? What do you think is the best way to accomplish that? JRH: I believe that we write best when we tackle a subject that we have strong feelings about. For example, my difficult experience with bullying left me hurt and angry, and I used these powerful emotions to create How the Moon Regained Her Shape. The moon’s suffering mirrors my own childhood. But the story rewrites the resolution of my own bullying episodes. I encourage my students and other writers to keep journals. Often, I write in my journal when I’m very happy or very upset about some aspect of my life. Putting my ideas down on paper helps me to feel more in control and to understand my experiences better. Later, I may rework these sentences into poems, essays, stories, or dramas. I also struggle toward self-knowledge. We sometimes delude ourselves that we are helping other people when, in fact, we are acting selfishly. The more a writer can see through his or her illusions, the better he or she can convey the emotional truth of the human experience.